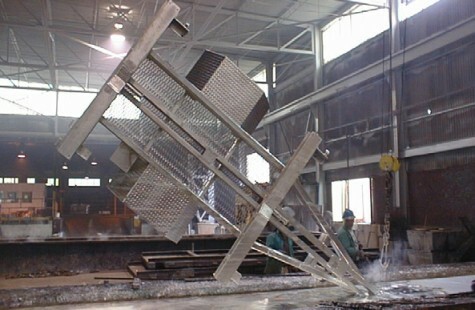 Galvanizing - Sauber Mfg. 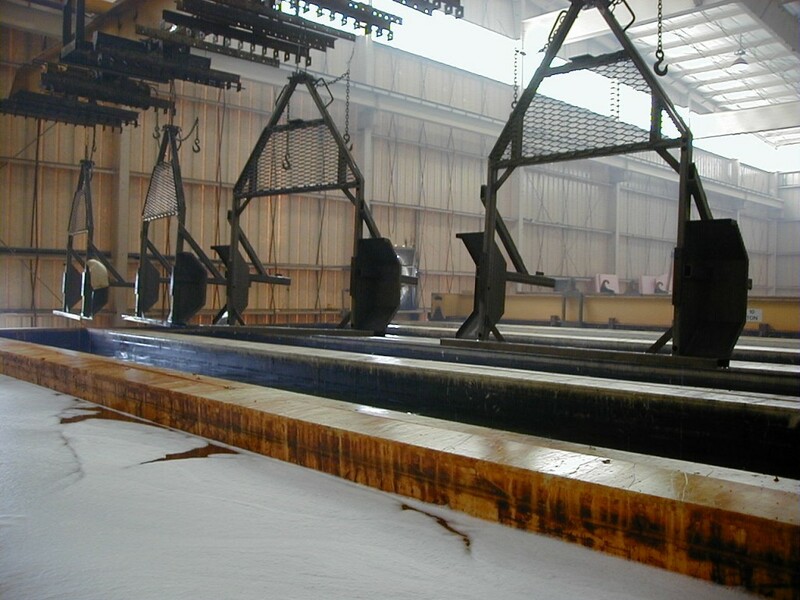 Co.
We’ve made hot-dipped galvanizing standard across our entire line of trailers. Now customers who have been saying “Galv it!” for over 25 years don’t have to any more. More and more customers every day trust our experience in galvanizing, innovative features and durable design to work with them on their next successful trailer application. Galvanizing is not simply a “coating” sprayed on top of the metal likepaint, metalizing, and other finishes. 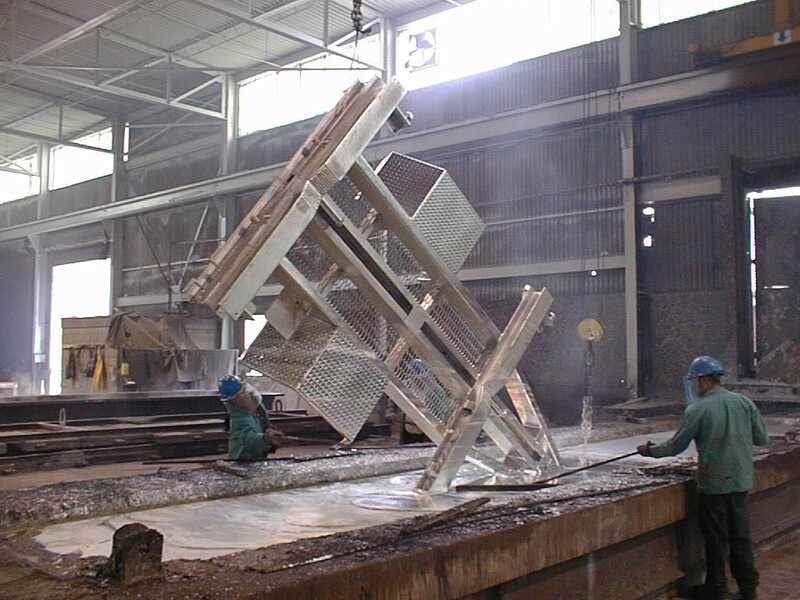 Galvanizing is a multi-step process of bonding molten zinc to the metal to form a multi-layer surface. These layers consist of zinc-alloys that are actually harder than the base steel itself, providing an ultimate barrier protection for the metal. In addition to offering rust protection, abrasion, and wear resistance, the zinc surface offers a maintenence-free life that is actually 5 times longer than painted steel. 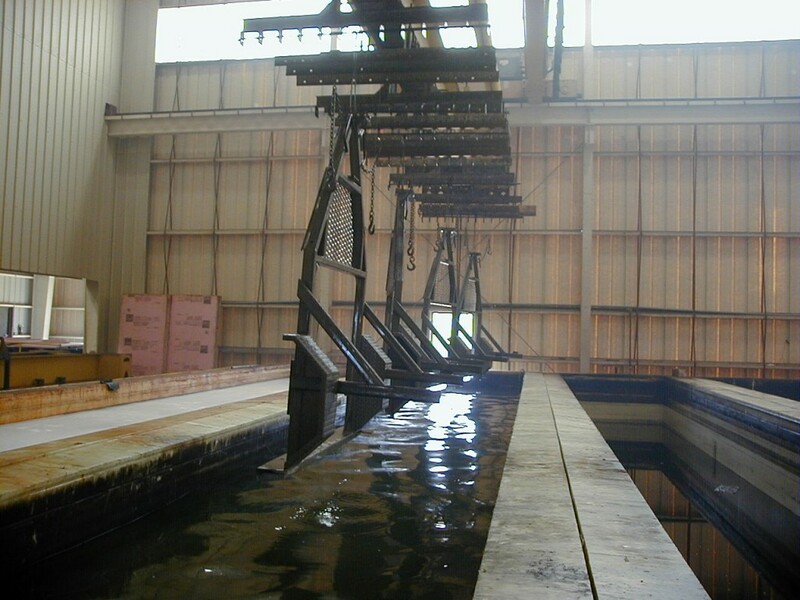 Hot-dip galvanizing consists of four steps: surface preparation (removing mill scale and rust), pickling in acid, flux coating, and dipping in molten zinc. The base metal is heated to the same temperature as the molten zinc during this process to facilitate the metallurgical bonding necessary to join the two surfaces. Because the base metal is “dipped” the entire unit is flooded with liquid zinc. This allows for the inside of tube frames, tight corners, and virtually all surfaces to be galvanized. In contrast, painted or metalized surfaces can only cover areas where the spray can reach, and depend heavily on the skill of the operator doing the application. 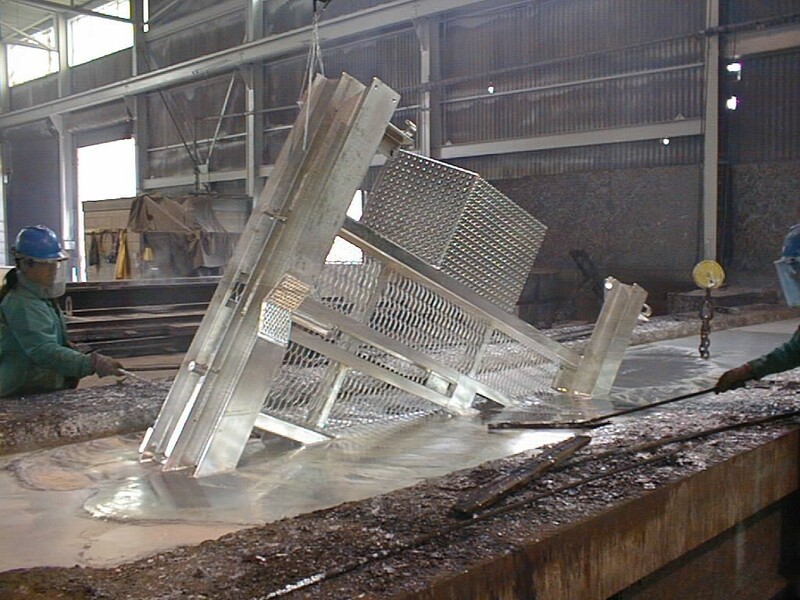 Galvanizing your equipment insures the initial cost of the finish covers an excess of 20 years. The galvanized finish then, is a capital cost. In contrast, a painted finish will require additional maintenance costs throughout the life of the equipment. Most painted finishes involve the initial cost, a 5-10 year repair for surface failure and aesthetics, and repair again at the 15-20 year mark. Most repainting work requires (at a minimum) dismantling, sandblasting, surface prep, prime coating, and repainting, – not to mention out of service time. But we need our company standard colors. In years past, this was a viable concern. Many utilities chose bright colors to aid visibility. Today, regulations regarding conspicuity help insure that every unit is in full compliance and fully visible. Conspicuity can be complemented with colored high visibility reflective tape and company logos. This allows your equipment to have high visibility and recognition while maintaining the lifetime benefits of hot dip galvanizing.